Collider caught up with the filmmaker in anticipation of Gifted, the poignant child drama headed up by Avengers: Infinity War star Chris Evans and the up-and-coming Mckenna Grace. It didn’t take long before the conversation veered toward a certain Peter Parker, at which point Webb was quick to note that he looks back on many of the elements that made up both The Amazing Spider-Man and its divisive sequel with a sense of pride. 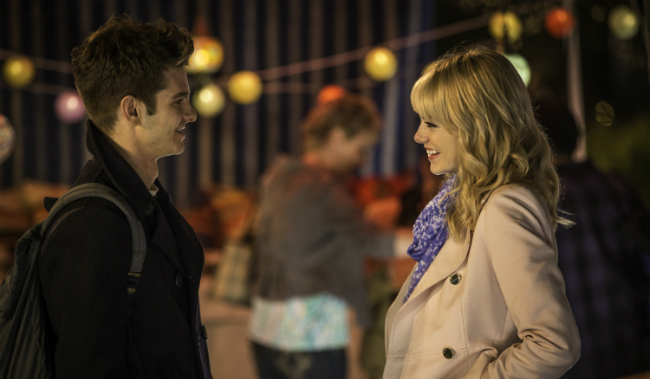 Neither film was considered an out-and-out financial flop, of course – between them, Webb’s brace of Spidey films raked in almost $1.5 billion at the box office – but the critical consensus was mixed, and though Sony initially placed Spider-Man on ice to foster a Sinister Six spinoff, it wasn’t long after that the company struck a new deal with Marvel to allow the Web-Head to join the MCU. Marc Webb doesn’t address that fallout specifically, but he does look back at the series with the benefit of hindsight. It’s hard for me to think about it, in terms of regrets. There are so many things that I’m proud of. There was an ambition with the second movie, in particular. The idea that it’s a superhero that can’t save everybody is something that I’m really proud of. I’m really proud of the ambition of that because it’s an important message, and I believe in that. I believe in what we were after. They’re really, really difficult movies to make. They’re complex in ways that people don’t fully understand. They weren’t disasters. But in terms of regrets, I don’t think of it in those terms. Leading man Andrew Garfield turned in a similar post-mortem late last year, when the actor even went so far as to suggest that Sony was so concerned with world-building that its ambitious franchise plans came at the expense of character and story. I felt really, really fortunate to have that opportunity. That’s a whole other long, in-depth conversation that I probably shouldn’t have publicly. I loved everybody involved. I really did. I didn’t have an adversarial relationship with the studio, at all. There were a lot of very smart people. These are just incredibly complicated movies to make. I am proud of them, in many ways, and I stand by them. I’m certainly not a victim, in that situation. After two films in the space of two years, Marc Webb’s Amazing Spider-Man series was officially retired in 2016. Don’t worry, though, Peter Parker will be back on our screens later this year with the release of Spider-Man: Homecoming. July 7th is the date for your diaries.